The Altar Server assists the celebrant at all liturgical celebrations of our parish. Serving is open to boys and girls fifth grade and older. Group training is offered in the spring and fall. Schedules for serving are issued in advance and usually require serving once or twice a month. Children's Liturgy of the Word (CLOW) is a liturgical celebration for children in kindergarten through second grade, until they receive their First Holy Communion. The children are excused at the beginning of the Liturgy of the Word. They process to a quiet gathering place to hear the Word (normally the first reading, psalm, and gospel) in words appropriate for their age. They have a chance to discuss, understand and apply the reading to themselves. They say a simple creed that relates to the readings and may participate in prayers of the faithful (if time allows). The children process back into the main body of the church to rejoin their families at the time of the offertory collection. We gather the children at the 9:30 mass most weekends during the school year. To get involved in this important ministry, please contact Heather O'Bryan at 630-321-0996 or heather_obryan@sbcglobal.net. The Ministry of Art and Environment prepares the worship space for each liturgical season. Liturgical “decorations” are used to foster a mood, sometimes of festivity and other times of penitence or anticipation, but always of dignity and hospitality. Volunteers are needed to assist with decorating for various occasions. A time commitment of about two hours at each liturgical seasonal set-up is needed. Please contact the Parish Office for more information. The Extraordinary Minister is responsible for assisting the celebrant and deacon in distributing communion during the Mass. Ministers are assigned to serve once or twice a month and can choose preferred mass times. Families who have members serving in various liturgical ministry roles are typically scheduled together at one mass. A two-hour training session is required and scheduled as needed throughout the year. A guide book is provided. Lectors proclaim the Word of God and are expected to prepare the reading of the text beforehand, utilizing all tools available regarding scriptural background, context, and the meaning of the message for that day. 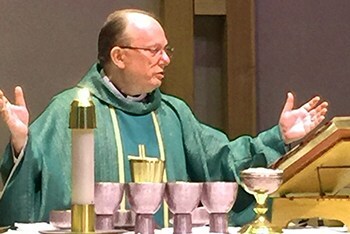 Two lectors are assigned to each Sunday liturgy, one for each reading. Each lector is invited to choose his/her preferred mass time. Lectors generally serve once every 5-6 weeks. Lector training seminars, reviews, updates, etc., are offered for the group. Training is also provided on an individual basis for new ministers. Schedules are emailed to Lectors from their Mass Coordinator. Click below for current schedule. 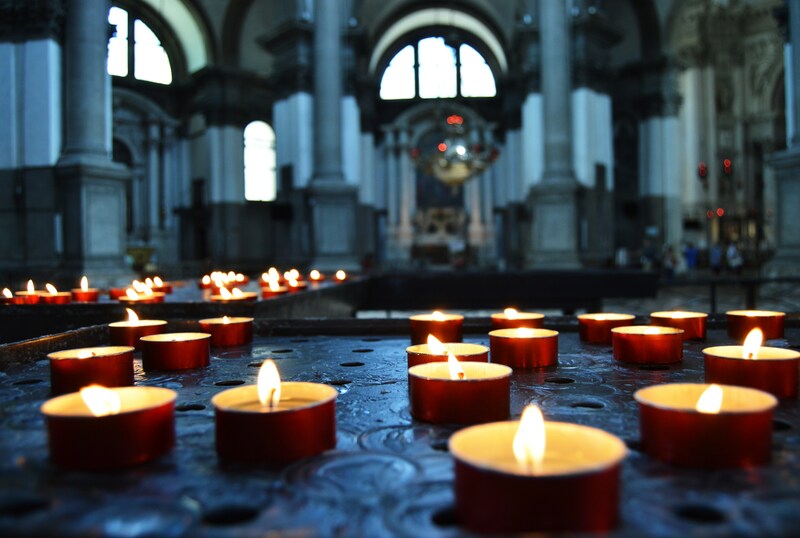 A person, living or deceased can be remembered in a special way at Mass. Contact the parish secretary at 654-3365 or visit the parish office 8:00 am to 4:00 pm, Monday through Friday. A card for the recipient is provided and an offering of $10 is suggested. The name(s) will be mentioned during the requested mass time. Intentions written in the book located by the Holy Family statues will be remembered as “parish intentions” during the Sunday 9:30 am mass. If you would like a Mass said, please contact the Parish Office anytime during regular business hours. The sacristan is responsible for the cleanliness and care of all liturgical vestments, vessels, linens, candles and other items used in sacred celebrations, to insure that the sanctuary and sacristy are kept clean and organized for the celebrant and other ministers. Various duties can be distributed to accommodate each individual's schedule. The usher/greeter's responsibilities are many, but the most important task is that of creating an environment of welcome and hospitality to fellow parishioners, visitors and newcomers. They are also responsible for guarding the sanctity of the church, gathering the offerings, assisting with seating, inviting members to be gift bearers for the Presentation of Gifts, distributing bulletins, attending to emergencies and answering questions. This ministry is open to men and women, high school age and older. Usher/greeters may choose their preferred mass time. Occasional meetings are scheduled.